President Trump plans to make a final decision on the Paris agreement before a meeting of the Group of 7. WASHINGTON — President Donald Trump’s most influential policy advisers are urging him to keep the United States in the landmark Paris climate accord of 2015, a move that would break one of his signature campaign promises and further downgrade the counsel of his senior strategist, Stephen Bannon. Trump plans to make a final decision on the fate of the Paris agreement before a meeting of the Group of 7 leading economies at the end of May, according to Sean Spicer, White House press secretary. A team of Trump’s principal advisers was scheduled to meet Tuesday afternoon at the White House to discuss the decision with the aim of recommending a path forward, but the meeting was canceled after some of the planned attendees flew with Trump to an event in Wisconsin, according to a White House spokeswoman. The spokeswoman, Kelly Love, said the meeting was still expected to take place, although the exact timing was unclear. 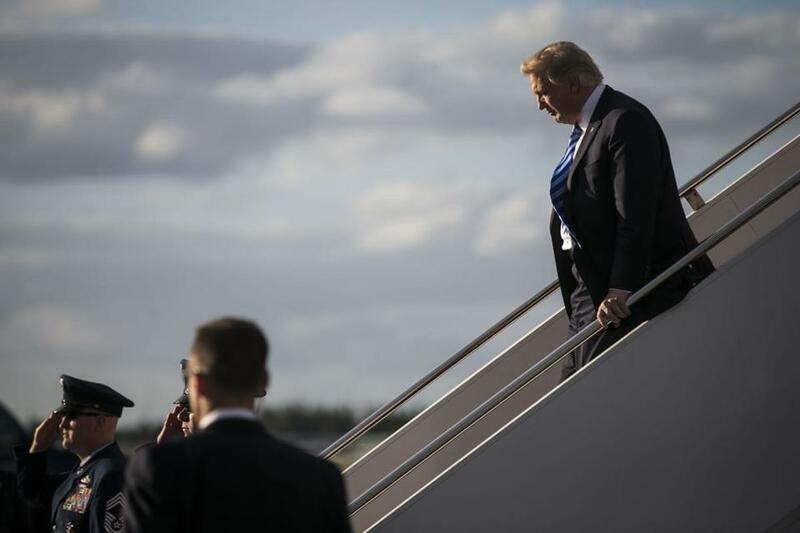 On the campaign trail, Trump vowed to “cancel” the climate deal, and his most politically conservative advisers, including Bannon, have pushed him to follow through. But Bannon’s influence has waned in recent weeks, while authority has risen for Trump’s daughter Ivanka and son-in-law, Jared Kushner, who advocate staying in the accord. Secretary of State Rex Tillerson, former chief executive of Exxon Mobil, has also spoken in favor of “keeping a seat at the table” in the climate pact, and in recent days, major corporations have stepped forward to embrace that position. While Trump does not have the power to undo a multilateral United Nations accord, he could withdraw the world’s largest economy from the pact, weakening it substantially. Such a move would win cheers from the nation’s most powerful conservative political advocates, and give Trump bragging rights in coal country. But withdrawing from the landmark accord that committed nearly every nation to take action against planet-warming emissions could create diplomatic blowback, while weakening US leadership in arenas far afield from energy and the environment. Besides, keeping the United States’ name on the accord does not obligate the Trump administration to abide by the ambitious emissions-control pledges of Trump’s predecessor, Barack Obama. At least one senior White House climate policy adviser, George David Banks, has advocated staying in the agreement while replacing the Obama plan with a weaker, more industry-friendly pledge. Over recent weeks, Banks has asked top officials at several major corporations, including Exxon Mobil, who have similar views, to submit letters to the White House confirming their support of staying in the Paris deal, even if in a modified form. Royal Dutch Shell and BP, European companies with significant investments in the United States, have also endorsed the accord. Regardless of his decision, Trump has already undermined the United States’ ability to meet its Paris pledge. Obama declared that the United States would reduce its planet-warming carbon pollution about 26 percent from 2005 levels by 2025. Its primary policy for meeting that target would be the Clean Power Plan, a set of Environmental Protection Agency regulations designed to shutter hundreds of heavily polluting coal-fired power plants, the nation’s chief source of greenhouse emissions. Last month, Trump directed Scott Pruitt, head of the EPA, to begin the legal process of dismantling the Clean Power Plan. Whether or not the United States remains in the Paris pact, it almost certainly will not be able to meet its pledged pollution-reduction targets. That reflects the views of powerful conservative political advocacy groups such as Americans for Prosperity, which is funded by the influential libertarian brothers Charles and David Koch. “What we say to the White House is that it’s clearly a terrible agreement for the American people,” said Tim Phillips, president of Americans for Prosperity.